Andre Avila, dance instructor and owner/founder of Rhythm Journey Dance Company was born in Bogotá, Colombia where his ballet, jazz, and tap training began at the age of eight. Later, he expanded his repertoire to include South American folkdance and traditional Latin social dances. 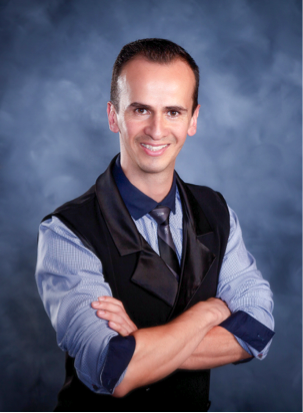 Training in rhythm and smooth ballroom dance began when Andre moved to the US in 2003. Since that time, he has taught and competed professionally with studios in Las Vegas, New York, Massachusetts, and North Carolina, specializing in rhythm and smooth ballroom with additional proficiencies in Argentine Tango, West Coast Swing, Hustle, Kizomba, and Flamenco. Andre is passionate about making dance accessible to everyone. He has been an instructor for ComMotion since 2017. He is also a instructor for the American Dance Festival's Parkinson's Movement Initiative, and the Osher Lifelong Learning Institute at Duke University. He is certified to teach the American Dance Wheels Foundation Wheel One Bronze wheelchair ballroom syllabus. Rachel fell in love with ballroom during a high school swing dance class. Her dance training continued at UNC-Chapel Hill, where she also received her Bachelor’s degree in Psychology. Rachel taught at A Step to Gold International Ballroom for 5 years. 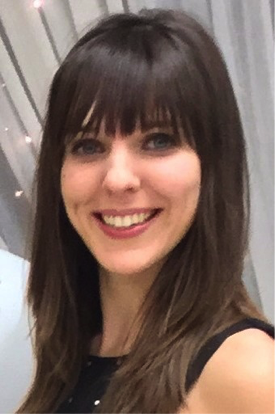 As an instructor for ComMotion since 2016, she loves seeing the joy that dancing brings to the lives of new dancers.